Hard on the heels of the just completed Exercise Atlasur, the SA Navy next week starts work on its second international exercise of the year – Ibsamar. Between October 1 and 15 the maritime service of the SA National Defence Force (SANDF) will host the sixth edition of Exercise Ibsamar. Participants are Brazil as lead nation, India and South Africa. The exercise flows from the trilateral agreement between the three countries and was first staged 10 years ago in 2008. Included in the exercise objectives are to maintain, promote and build on previous operational and tactical co-operation between the joint forces of the participating countries and to evaluate support capabilities of the joint force over a period of high demand. The exercise also aims to develop and test joint combined planning doctrine, as well as evaluating joint and combined inter-operability to improve joint capability understanding and co-operation. In addition to putting three platforms SAS Amatola, SAS Protea and SAS Manthatisi into the exercise the SA Navy will also contribute elements of its maritime reaction squadron. 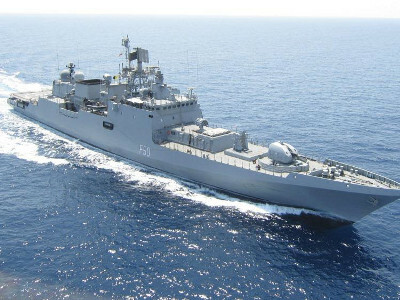 They are expected to work closely with a platoon of Brazilian Special Forces embarked on the frigate BNS Barroso and Indian marines, expected to be on both the Indian Navy platforms tasked for the exercise in southern African waters. Indian Navy ships participating are the INS Kolkata, a stealth guided missile destroyer and the Talwar Class frigate, INS Tarkash. Air assets will come from Brazil (an embarked AS350 Ecureuil) and India with a Sea King maritime helicopter and an Alouette rotary-winged aircraft. South Africa is providing a 22 Squadron Super Lynx aboard Amatola as well as a C-47 TP (35 Squadron), an Oryx medium transport helicopter (also 22 Squadron) and a pair of 2 Squadron Gripens from AFB Makhado in Limpopo. South Africa, in the form of its SA Military Health Service is the lead healthcare supplier via 1 Medical Task Group while the Brazilian and Indian contingents have own medical corps representatives aboard. The first phase of the exercise is an alongside one between October 1 and 3 in Simon’s town harbour followed by a three day sea phase in and around False Bay. A second sea phase follows in False Bay and the Western Cape east coast area with an alongside phase to wrap up the exercise before conclusion on October 15.